Here is how I test simple FreeBSD tcp changes with dummynet on bhyve. I’ve already wrote down how I do dummynet so I’ll focus on bhyve part. Caution: Handbook entry on bhyve is the true source. Please refer to it for exact information. This post is super quick and may contain not-entierly-correct things. Also, I am lazy and all this config is what I am using, you may need to tweak a bit here and there. Here, 192. * addresses are for ssh and 10. * are for guests to be able to communicate within themselves. Now create bridge interfaces for the communication. re0 is host interface here. bridge0 would help connect all guests mgmt interfaces to re0 (host interface) so they all can reach out and for us to be able to ssh into them. bridge1 connects client to router and bridge2 connects router to server. Here, ‘iso’ is the path to iso image that you want to install with and last arguments – client, router,server – are VM names. static route entries make sure routes are setup correctly for client and server to communicate with each other. router would also need following in /etc/sysctl.conf to be able to pass traffic between client and server. A few months back when I started looking into improving FreeBSD TCP’s response to packet loss, I looked around for traffic simulators which can do deterministic packet drop for me. I had used dummynet(4) before so I thought of using it but the problem is that it only provided probabilistic drops. You can specify dropping 10% of the total packets, for example. I came across dpd work from CAIA, Swinburne University but it was written for FreeBSD7 and I couldn’t port it forward to FreeBSD11 with reasonable time/efforts as ipfw/dummynet has changed quite a bit. Both client and server need their routing tables setup correctly so that they can reach each other. ‘pls 3,4,5 plsr 7’ – is the new configuration that the patch provides here. In the example above, it configures the pipe 100 to drop 3rd, 4th and 5th packet and repeat this pattern at every 7 packets going from server to client. So it’d also drop 10th, 11th and 12th packets and so on and so forth. Side note: delay, bw and queue depth are other very useful parameters that you can set for the link to simulate however you want the link to behave. For example: ‘delay 5ms bw 40Mbps queue 50Kbytes’ would create a link with 10ms RTT, 40Mbps bandwidth with 50Kbytes worth of queue depth/capacity. Queue depth is usually decided based on BDP (bandwidth delay product) of the link. Dummynet drops packets once the limit is reached. For simulations, I run a lighttpd web-server on the server which serves different sized objects and I request them via curl or wget from the client. I have tcpdump running on any/all of four interfaces involved to observe traffic and I can see specified packets getting dropped by dummynet. sysctl net.inet.ip.dummynet.io_pkt_drop is incremented with each packet that dummynet drops. * Work on getting this patch committed into FreeBSD-head. * sysctl net.inet.ip.dummynet.io_pkt_drop increments on any type of loss (which includes queue overflow and any other random error) so I am planning to add a more specific counter to show explicitly dropped packets only. * I’ve (unsuccessfully) tried adding deterministic delay to dummynet so that we can delay specific packet(s) which can be useful in simulating link delays and also in debugging any delay-based congestion control algorithms. Turns out it’s trickier that I thought. I’d like to resume working on it as time permits. FreeBSD network stack is quite stable but lacks some of the improvements/features available in other OSes. We’ve also started creating a list of TCP related RFCs and their support for FreeBSD to have a single point of reference. Plan is to have a coordinated effort to improve TCP, UDP, etc.. so if you are interested in any of those protocols, please join the mailing list and help FreeBSD. I usually build my own packages with poudriere but it’s not fun to do on tiny boxes so I just do ‘pkg install ‘ on them and use upstream packages. One downside is, that package is build with default options. I recently ran into a situation where I wanted to change some options for just a single port. Now, what is the minimal set of things in /usr/ports/ that I need to checkout to be able to config/build just one port? And the port I want to actually build. Now I can ‘make config’, change the options and build/install that port without checking out entire ports tree. After tplink, it was time to play with picostation m2hp. Here is where you should top the autoboot and it will drop into uboot>. 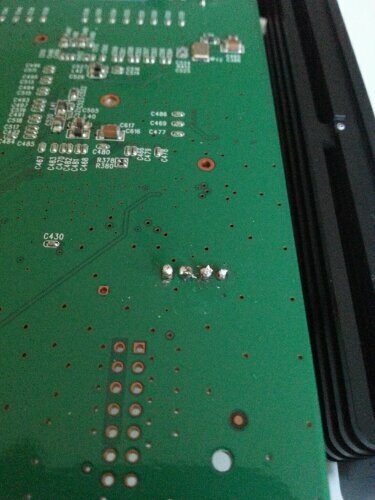 I picked up a working openwrt image and tried to load it. 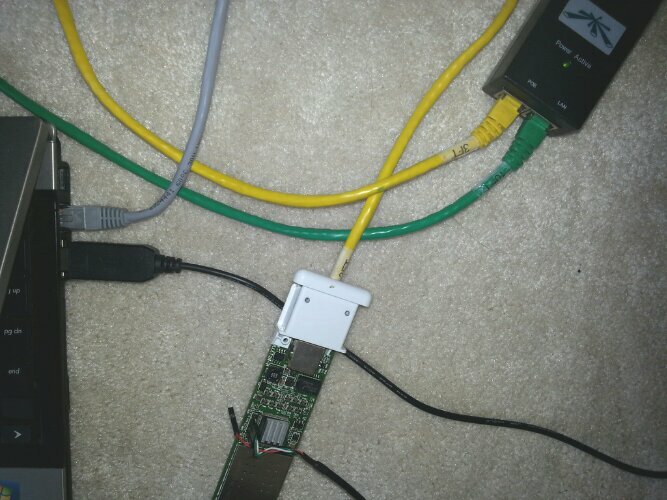 Laptop act as a tftp server here which is also connected to the router (via gray cable). This way laptop and board are both in the same network. laptop has a tftp server running and I’ve assigned 192.168.1.254 to that network interface (em0 in my case) with “ifconfig alias”. This is because as you can see in uboot’s printenv, uboot expects the tftp server to be running at that address. 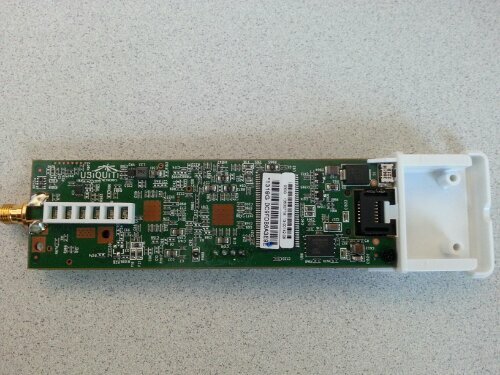 The board will obviously act as a tftp client. Now, to transfer the image, after generating the image (which we will look into in a bit), copy that into /tftpboot on the server. Alright this was the basics of how to upload a valid image onto the board. Fun part is to generate a *valid* image that board will accept. This error was coming from uboot which was proprietary and I could not find this error in any opensourced version of uboot. [email protected] showed me a trick to look at images with hexdum. After looking at openwrt’s working image by “hexdump -c image”, I found out that uboot was expecting something along the lines of “XS2.ar7240.FreeBSD” as version string in its header. If it does not see “ar7240” in the header, it would fail the check. Mounting from ufs:/dev/map/rootfs.uncompress failed with error 19. Later [email protected] caught that the problem was the rootfs start point in the hints file. Because mtdparts specify 0x130000 as rootfs offset. *** Loading configuration files ..
*** Restoring from /dev/map/cfg ..
*** bringing up loopback ..
*** Default password/login databases ..
Next up was figuring out networking. [ath]: default pwr offset: -5 dBm != EEPROM pwr offset: 0 dBm; curves will be adjusted. Just to hack that up for time being, [email protected] suggested to set it to 0x0 which worked. The kernconf and hints file are committed as r255086. On successful completion, resulting image PICOSTATION_M2HP.initial.img will be in /tftpboot. I’ve learned a few very basic networking things while trying to make this work. manifest file has list of files to be stored in flash on “cfg_save”. Basic workflow is that you make changes you want and do “cfg_save” which writes things to flash and then “reboot”. So router comes up with the saved settings. * bridge0 is the bridge interface connecting all of it together. 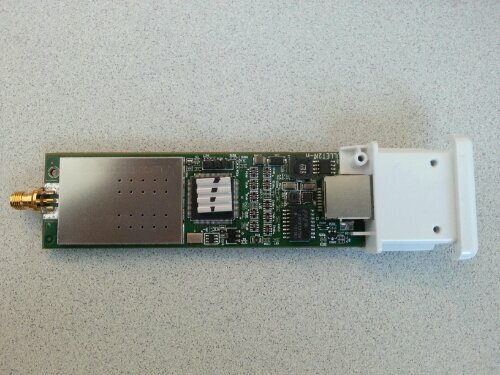 It does the bridging of ethernet and wifi interfaces to send and receive bits (and bytes). *** Storing configuration files from /etc/cfg/manifest -> /dev/map/cfg..
And “reboot” the router. When it comes back, it _should_ have everything ready and setup which was not the case with my setup. As you can see everything looked sane and I could see it advertizing wifi network but when a client tries to associate, it would get stuck on “Obtaining IP address” and even if you assign static IP, client does not receive any packets. Now, as you can see the ethernet cable in WAN (blue) port shows up as port0 and it is in vlangroup1. But vlangroup1 is in vlan 2 and it is tagged. Moving ethernet cable from WAN port to one of the LAN ports fixed the problem. Now a client could associate and get an IP via dhcp from the incoming ethernet connection on the router. (No dhcpd is needed/running on the router itself). To debug, we can look at individual ports with “tcpdump -ni “. Again a *HUGE* Thanks to Mr FreeBSD Wifi (Adrian Chadd) for all the build scripts and help with the bring-up. I decided to play with some wireless router and put FreeBSD on it. Adrian suggested TL-WR1043ND so I bought it. I’ve used Adrian Chadd’s scripts do this. All the commands for flashing is also from him. A *huge* thanks to him. I’ve also referenced OpenWRT page a lot. Got usb to ttl serial cable to connect to the tx, rx and gnd pins. Now power on the router and interrupt the boot process by typing “tpl” to drop into “uboot” prompt. 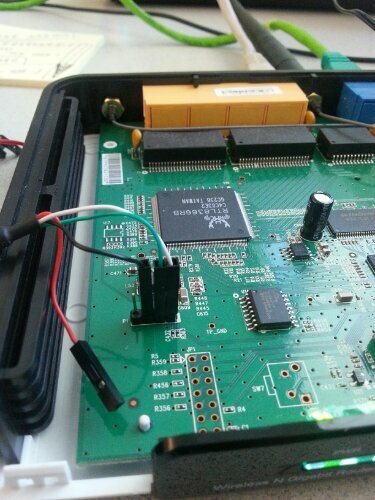 # This erases the flash between uboot and the firmware configuration area. Whatever you do, don't mistype this! Next step is to copy firmware image from RAM to the flash. 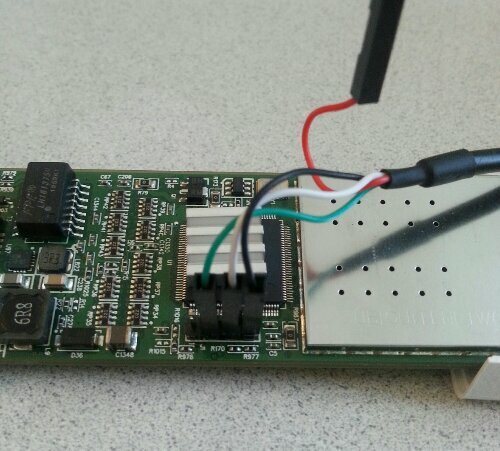 Next up is _actually_ using this thing: creating wireless network and other fun stuff. Above you can see only ada0s1a (55G) was being used by my zpool: zroot. I wanted to extend it to use the ada0s1b (56G) too. use the new partition which is actually the same one (ada0s1a).